Concordia standing left, holding standard in each hand. 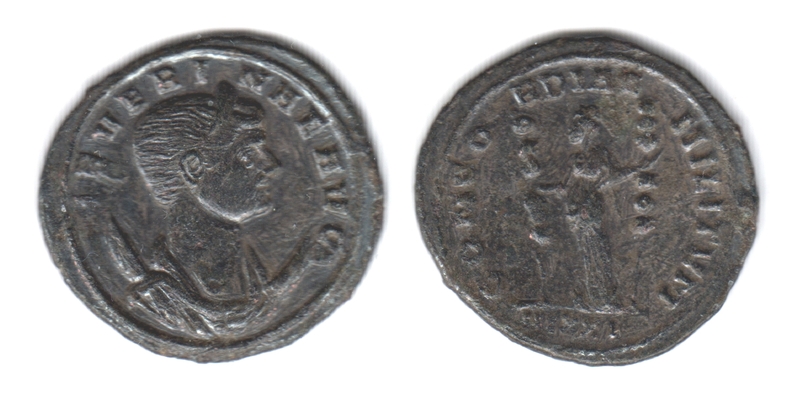 The image below was photographed by Jeroen van der Meulen from RomanCoinShop. The image above is my own scan. 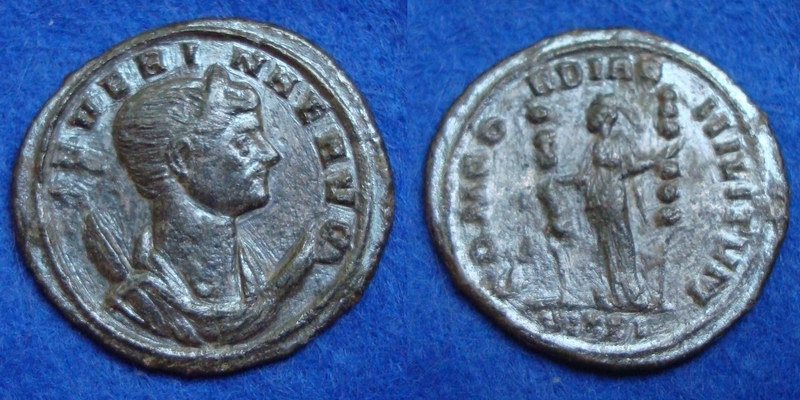 Minted at the 6th officina (VI) in Siscia (Sisak, Croatia) in 275 A.D.
Webb, P.H., "Roman Imperial Coinage", Volume 5, Part 1 (RIC), p317, nr. 13. Sear, D.R., "Roman Coins and their Values" (RCV Millennium Edition), Vol. 3, p439, nr. 11706. Cohen, H, "Descriptions Historique des Monnaies frappees sous l'Empire Romain" (C), Vol 6, p210, nr. 8. Van Meter, D., "Handbook of Roman Imperial Coins" (VM), p258, nr. 4.